Thanksgiving is right around the corner. The Team at The Property Shop is feeling thankful for our wonderful customers and our community. As we get ready for the holiday, we would like to share a few turkey time tips. Step 1: Select the right size turkey for your guests. We recommend selecting the higher weight for each group size below to allow for plenty of leftovers. Step 2: Thawing Time. If you purchase a frozen turkey, refrigerating it is the safest method for thawing. Step 3: Roasting Times. 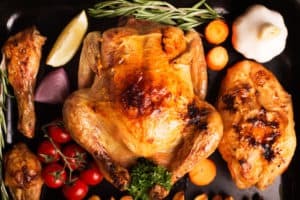 The cooking times below are calculated based on an oven temperature of 350 degrees and assume that the turkey has been prepared without stuffing. The target temperature for turkey is 165 degrees. We asked our Team to share their favorite Thanksgiving tips. – Start Early: Not just early in the morning, but start your Thanksgiving preparations the weekend before so that the day off is more relaxing and fun. – Share Fun Facts: Have your guests guess how many pounds of cranberries are consumed on Thanksgiving (the answer is 770 million). How fast can a turkey fly? Up to 55 miles per hour! – Serve Your Favorites: Choosing a menu can be overwhelming as it is common to worry about your guests’ preferences. This year, serve your favorites. It’s likely these dishes will be loved by all. – Keep the Kids Busy: Plan ahead for the kids with a Thanksgiving art project. Just Google “Thanksgiving art projects for kids” for great ideas. Our favorite, cover the table in brown packing paper and have the kids decorate the table and write what they are thankful for. 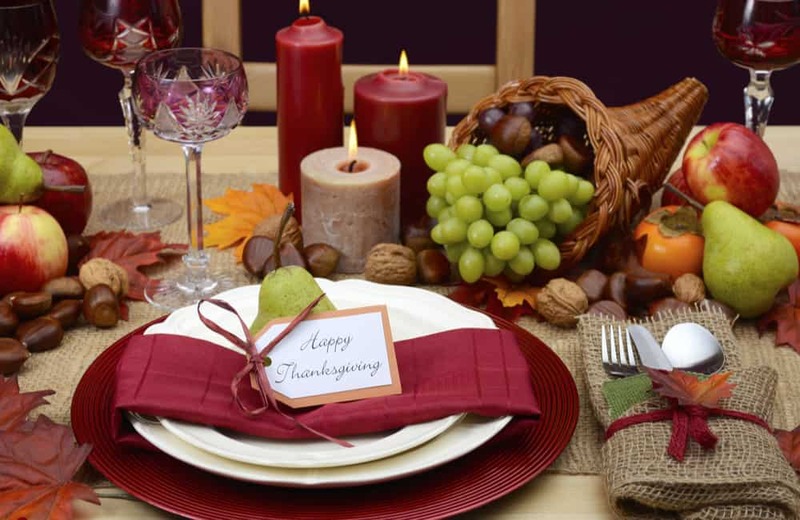 Happy Thanksgiving from your friends at The Property Shop! Posted in: Property Shop Inc.